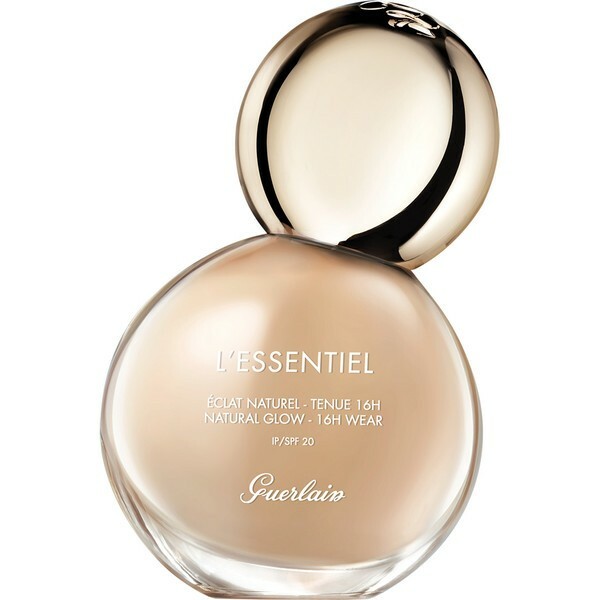 Fear no more about foundation being bad for your skin thanks to the GUERLAIN L'Essentiel Natural Glow Foundation SPF20, a 97% naturally-derived makeup base inspired by the beauty of bare skin. Foundation reinvented, with L’Essentiel naturalness and high performance go hand-in-hand. The radiant-finish foundation hydrates and balances the skin with white cocoa bean and red algae, while added SPF20 protects from harmful UV rays and pollution. Upon application, the comfortable, liquid texture will effortlessly envelop the complexion, while allowing your skin to breathe and offering a buildable, light to medium coverage that will stay even and flawless for up to 16 hours.